Lesser known but critical file, hosts file, is a simple text file without a file extension is designed to map or override IP addresses before accessing a DNS (domain name server). 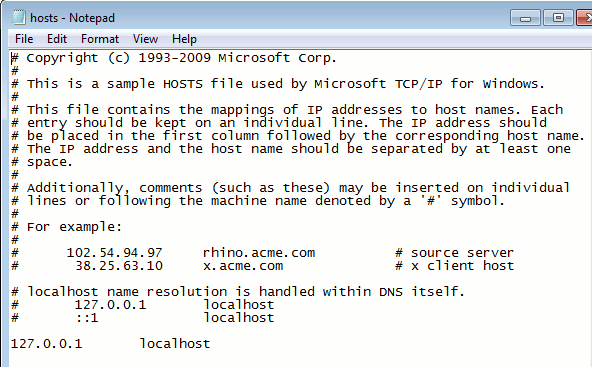 In simple words, the “hosts” file overrides any request to a DNS server for a domain name resolution, meaning that you can override where your computer connects to by editing this file as you wish. Another benefit of using the hosts file is precedence.If a hosts file exists, it is automatically searched during any process using the OS TCP/IP stack. The search is done first before any attempt to find a DNS server is made. So, once you save the hosts file with this configuration, you can browse the complete website using http://mysite.com on your web browser. Isn’t that Simple & Reliable?